Temperature inversions have a great effect on air pollution. Whether it's a blanket of smog over a city or the melting of ice packs due to ozone depletion, atmospheric temperature inversions are intricately involved. They influence the scope and intensity of the effects of air pollution on a temporary, localized basis as well as long term and globally. Permanent temperature inversions impact long-term, global air pollution. Surface inversions affect short-term, local pollution. These inversions traps pollutants, allowing the concentration to increase. Under most circumstances, the temperature of the atmosphere decreases with height, meaning it gets colder the higher you go. However, a temperature inversion occurs when the atmosphere actually becomes warmer as altitude increases. This typically occurs within a defined layer of the atmosphere. Temperature inversions, when they occur, have a major impact on air pollution and air quality. There are two types of inversions -- permanent and surface -- and each corresponds to a different impact. Permanent temperature inversions occur high above the surface of the planet. In regard to air pollution, the most important of these is the stratosphere. This atmospheric layer stretches from an average of seven miles to 31 miles above the earth's surface. The stratosphere sits atop the troposphere, which is the lowest layer of the atmosphere and home to the majority of all weather. The stratosphere’s temperature inversion impacts global, long-term air pollution. Surface temperature inversions occur directly above the earth’s surface, in the lower troposphere. They're frequently triggered by rapid surface cooling, caused by the release of radiant energy overnight. These inversions are also frequent during the winter months, when nights are long and the sun, low on the horizon, heats the atmosphere more than the planet’s surface. Surface inversions impact local, short-term air pollution. Temperature inversions affect air pollution because they change the dynamics of air movement. Warm air rises in the atmosphere because it is less dense and, therefore, more buoyant than the cooler air above it. This tendency to rise is what creates the vertical development found in thunderstorms. However, a temperature inversion prevents this vertical movement, also known as convection. Stated differently, inversions function like an atmospheric lid or blanket. This smothering effect traps air pollutants and allows their concentrations to increase. Surface inversions are responsible for producing smog, trapping the pollutants produced by vehicles, fires and industrial activities. Furthermore, the hydrocarbons and nitrogen oxides present in these trapped pollutants are converted into harmful ozone by sunlight, which reduces air quality. 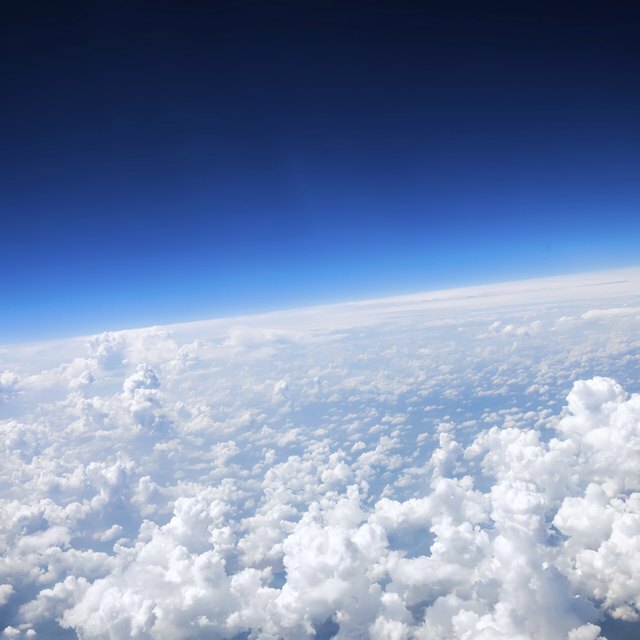 The stratosphere’s inversion traps pollutants within the stable layer, which is something that typically occurs when greenhouse gases are injected high into the atmosphere by volcanic eruptions. Without the vertical mixing provided by convection, these gases remain suspended within the inversion layer and result in a long-term impact on the global climate. Bennett, Doug. "How Do Temperature Inversions Influence Air Pollution?" Sciencing, https://sciencing.com/temperature-inversions-influence-air-pollution-10038430.html. 09 May 2018.